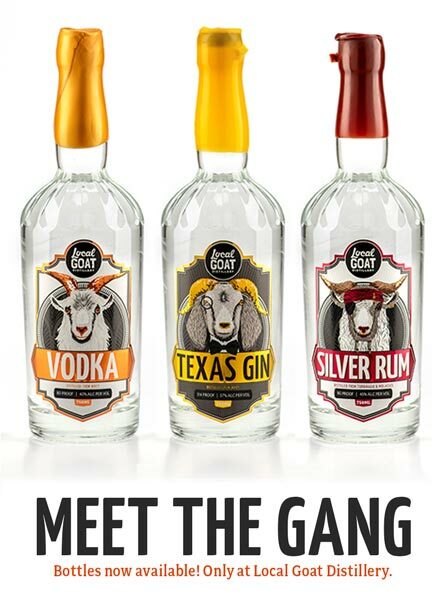 Like the diverse palate of the goat, the folks at Local Goat keep an open mind to native goods. 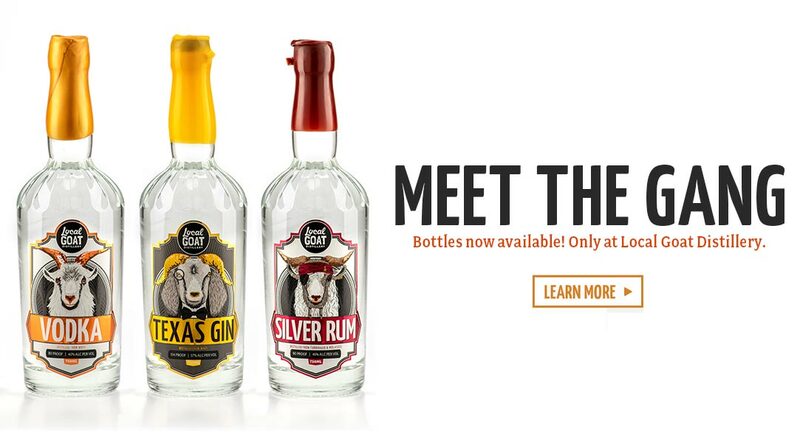 Our socially responsible process involves using by-products in our exotic spirits. What might be considered waste to others is what shapes our sophisticated liquors. We have partnered with Veldhuizen Cheese, just down the road, in Dublin. Their whey is the base for our vodka, acting as a natural sugar. Processes like these are only the beginning of Local Goat. Come in and enjoy a variety of unique drinks featuring our spirits and house-made ingredients. Enjoy our delicious full menu of Street Tacos, Nachos, Patty Melt, and more! Tours last 30-45 minutes and include a 1/2oz sample of each of our spirits, bottle waxing, and barrel tasting . Show support and look good at the same time. 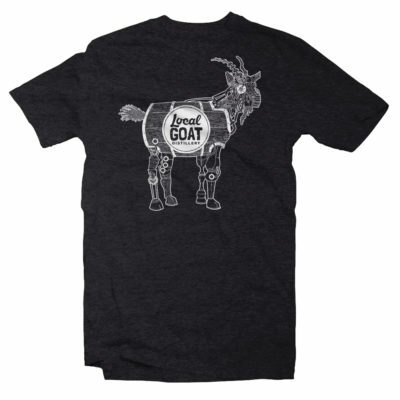 Order your Local Goat shirts and more at our online shop. 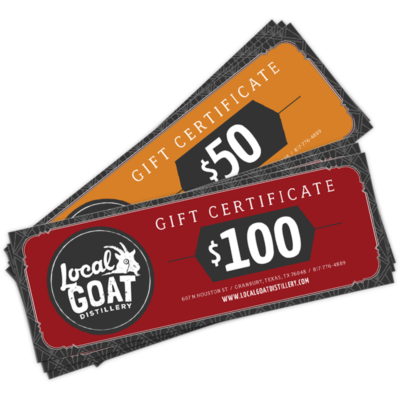 Join our mailing list to receive discounts, updates & more!